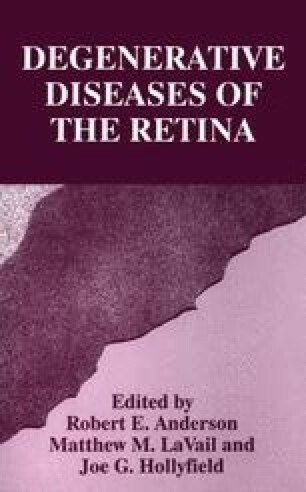 A great deal is known today about the identity of several gene products which are targets for mutations that induce retinal degeneration both in vertebrates and invertebrates (1–15). These mutant genes lead to various forms of retinal degeneration. However, the molecular mechanisms underlying the sequence of events which bring about retinal degeneration is still obscure. A common denominator of these mutant gene products is that most of them are proteins important for phototransduction. A clue to a molecular mechanism which initiates the degeneration process came from recent studies on retinal degeneration in Drosophila mutant photoreceptors in which the degeneration process is light-dependent, namely, the photoreceptors do not degenerate if the fly is raised in the dark.